Visit our before & after photo gallery to see our excellent Hair Restoration results for yourself and find out what we can do for you. Interested in Hair Restoration? Dr. Shah Performs the NeoGraft Procedure! It is the 1st and only Class 1 FDA Approved Automated medical device for hair restoration. No linear scar, and your hair can be worn short. Less activity restrictions after procedure. Transplant twice as many hair grafts as the manual FUE. Reduces FUE hair Transplant Cost by as much as half. Not only do we have the education and experience necessary to provide optimal results, but we also have personal experience so we know what you are going through. If you want to get hair restoration from someone with both knowledge and empathy, this is the office to come to. If you are ready to get the look you have wanted for years, it may be time to start looking at our office in Bakersfield. Hair transplants are not to be taken lightly, but you can feel confident about the procedure when you have an experienced doctor. Call Beautologie to get it done as soon as possible. To many residents in both Bakersfield and Fresno, a full head of hair represents allure and charisma both personally and professionally. For this reason, it is crucial to understand what effects a hair restoration procedure can have on your daily interactions with people and in all other aspects of your life. Just about 50 million men and close to 30 million women, including many in both Bakersfield and Fresno, suffer from male/female pattern baldness or thinning hair. Potential patients hesitate from the traditional "strip method" of hair restoration due to the restricting recovery which includes a loss of feeling at the incision site, the linear scar on the back of the head, or the extensive postoperative pain involved. 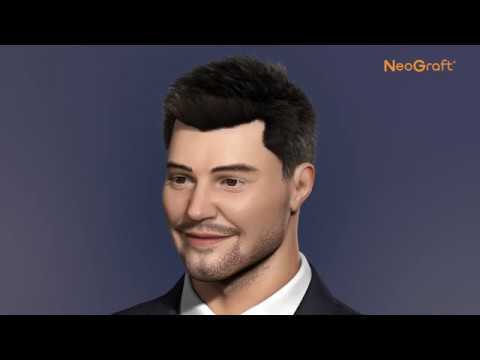 After considerable research, Beautologie has chosen to offer the Follicular Unit Extraction (FUE) technique utilizing the NeoGraft® Automated Hair Transplantation system. The FUE technique of hair restoration transfers individual hair follicles from the scalp in their naturally developing organization of about 1-4 hairs and are then implanted in the areas of the scalp where balding has transpired. Exceptional Results - New natural looking hair, short or long for both men and women. State-of-the-Art Technology - Automated technology, least intrusive procedure for hair restoration. Gentle - Slight to no discomfort. No scalpel incision, no staples, no linear scar. Practical - Less activity restrictions than conventional strip methods. Discrete - Generally patients return to work the following day. Reasonable - We offer programs to meet your definite requirements. FUE hair restoration is a very secure, minimally invasive, comparatively minor procedure. Nominal bleeding and less complications than with the “strip” method. The operation is done with local anesthetic without intravenous or intra-muscular sedation required. Patients feel very little discomfort without a scalpel incision, sutures or a linear scar. Patients also experience quick recovery times! The NeoGraft® Automated FUE is also a useful procedure to correct noticeable linear scars from previous "strip" surgeries. FUE can be used to "fill in" or disguise those old scars by transplanting new follicles into the area. NeoGraft® is the first and only FDA cleared follicular unit harvesting and implantation system. This system distributes automation of the FUE method, the most cutting-edge method in the hair restoration business. This innovative system uses pneumatic controls to accurately extract complete individual hair follicles which can be immediately transplanted to the selected areas of the scalp. The NeoGraft® automated hair transplantation system is the only integrated harvesting system on the market and has the only "NO TOUCH" implantation technology. Hair Restoration with NeoGraft® administers complete accuracy of harvesting and placement, providing trustworthy results. The patient is completely relaxed while each follicle is removed individually. This system provides patients with a legitimate head of hair done all minimally invasively. Hair loss is not easy for anyone at any age. Over 40% of men and 60% of women will experience significant hair loss by age 60. It can be a very emotional process, seeking ways to control this process once required a significant amount of research that posed to be very challenging. 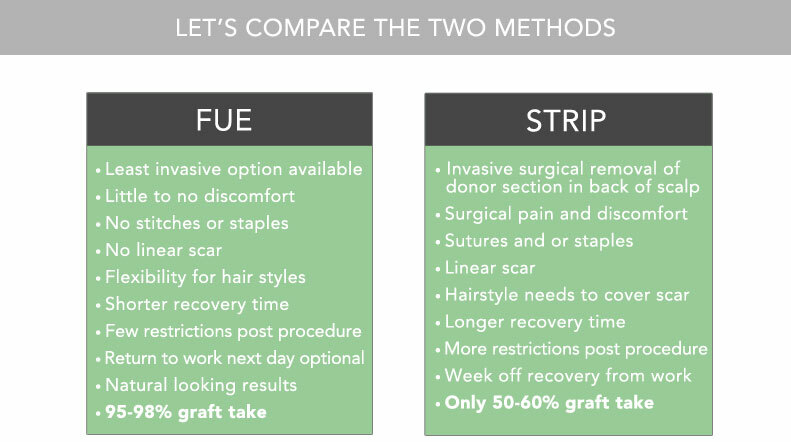 With NeoGraft's state-of-the-are technology presents a discrete result to hair loss, allowing patients to accomplish a natural looking result without a linear scar, the smallest amount of downtime and a reduced recovery duration. Hair restoration with NeoGraft® is totally inconspicuous, making it your secret to tell.